Being away from the farm for a week was treacherous, so my excitement had doubled – impossible, I know! – by the time I got there on Monday. I visited some bunnies and the swan and made my way to the corral. Waterford was hanging out so I waited around for Deb and watched as he chowed down on a tree stump. He was excited to see me and between bites we had a great chat with lots of snorts and head scratches. 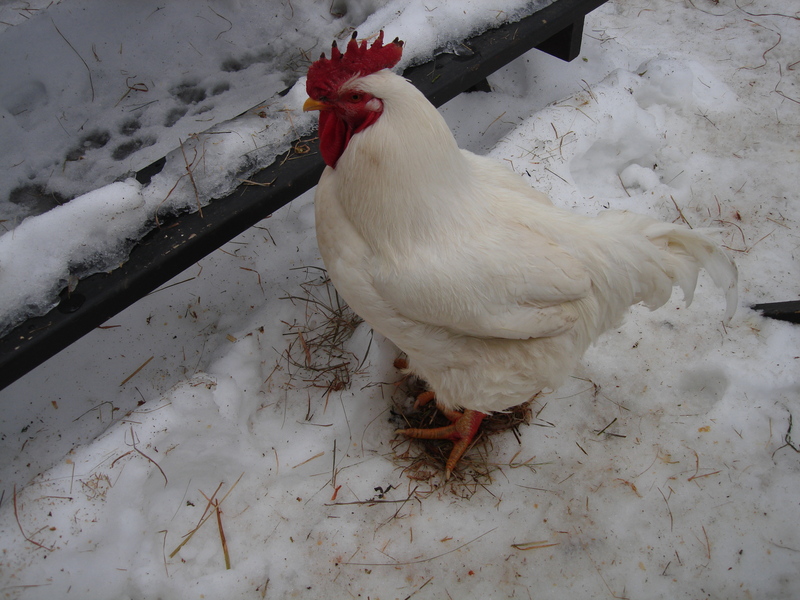 Niko spotted me from the barn and made her way across the snow. Eager for hugs, she hopped onto my shoulder perch and purred like a crazy person. Pandy appeared out of nowhere, running and wagging her tail. We played a great game of pine cone. One of the roosters even walked right up to me and hung out! But after my time spent caring for a sick Lunar two weeks ago, I’d have to say that the most exciting part was when she spotted me from the barn and came over and planted her head over the fence. She nuzzled against me and stayed close by. I took the opportunity to hug her as often as possible. We’ve definitely bonded and it feels pretty amazing. Here are the best shots from the afternoon. One of these days, I’m going to get there early with the Nikon, which will spare us all from the slightly fuzzy shots that my Cybershot produces when I don’t use a flash. Animals + Flash = Not so much. Also if you’d like to see a picture enlarged, just click on it (and then click back, it doesn’t open a new window). Niko’s face! See how she squints? 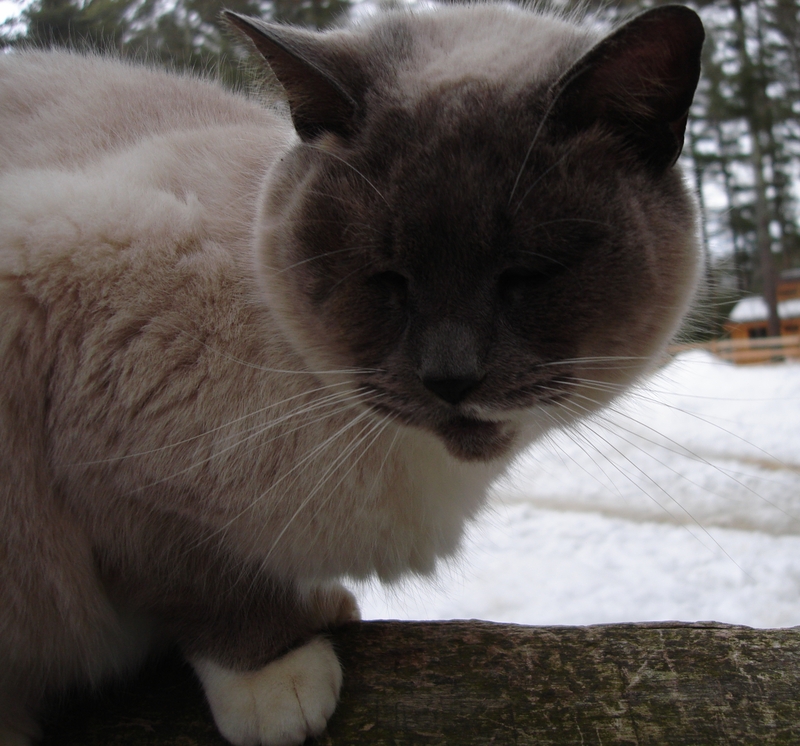 She’s undergone multiple eye surgeries and continues to be a super, super friendly cat. She’s the cutest!! By the time I pulled out my camera, Lunar had scared off Waterford. Which struck me as odd since he is super crazy – in the way I like best, of course, but still, I figured he’d nod at her and keep going. Nope. 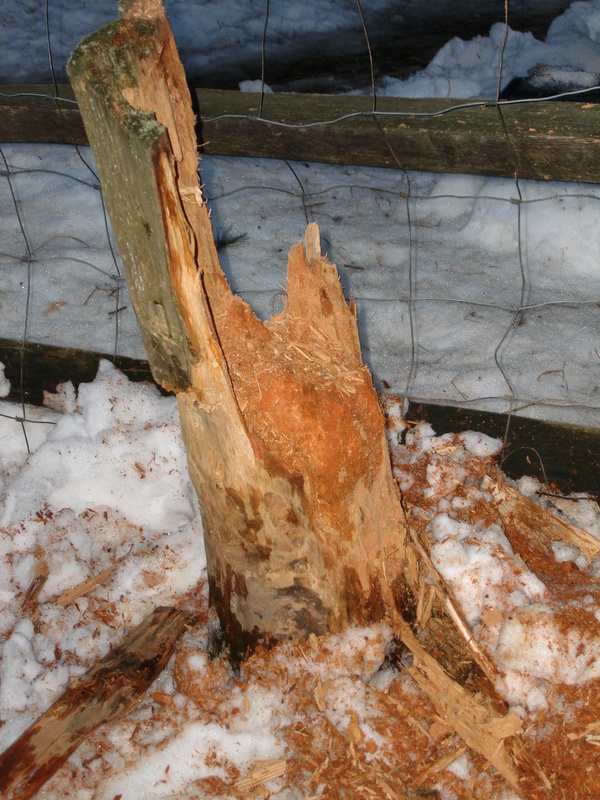 So instead, I took a shot of the poor tree stump that he went to town on. The trail of red pulp goes far and wide outside the borders of this picture and he certainly was the happiest piggy ever while annihilating the wood. This is the now-friendly rooster with whom every encounter thus far has consisted of me waving and saying hello and him completely ignoring me. Unless I walked by him on a path. In those cases, he’d jet the other way. The friendship grows. They’re still learning about each other and that always has its ups and downs, but they seem fond of each other; a great start. Look at her beautiful smile!!! Still no progress with petting Lovely Athena, but I’ll never give up. 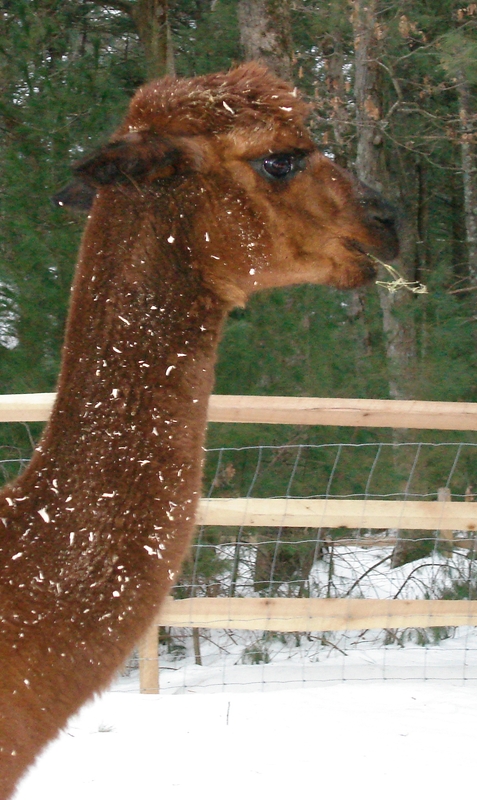 I’ve mentioned my fascination with the alpacas before and it continues to grow. While getting the barn prepared for dinner, I looked out the door and all three beauties were silently standing there, peering around. Just as quietly, they walked off. They are such gentle hushed animals. Aside from hearing their hooves while leaping about, I’ve heard very little from them. And when they do softly utter a call, it is a surreal alien cry. My mouth actually gaped open when I overheard one of them talking to a sibling. They’re like cartoon characters! Fluffy bodies with HUGE eyes, great, great ears, and spectacular sound effects. I cannot get enough of them!!! I left everyone in the barn contentedly munching away and headed over to visit the sweet herd in their corral. This was the first time I’d entered the gate. A brand new barn was built in honor of their arrival and it’s really nice inside: sawdust on the floor, mangers to the side and it smells awesome! Fresh wood scent is always a treat. They have room to play inside the fence and their house looks out on the pond behind the farm. It’s beyond idyllic. They were huddled outside, eying me, but not in a panicked way and I did not attempt to pet them. Like many of the residents at Winslow, these three had a traumatic past and I want them to be comfortable with me before I try to make contact. It’s something I do with every animal I meet and time lines on this vary. After spending some time with them, I don’t doubt that they like me as their body language was friendly. Not fleeing was also a good sign, and they had the room to do so. I attempted a few steps closer and they moved a few steps away. So they’re not ready. It’s this same instinct – not to rush up, not to speak loudly, not to reach out, not to repeat attempts in the same visit – that guides me with Athena. If she didn’t trust me at all, she’d never enter the barn or sniff my hand with her nose touching me. But she also senses when I’m reaching out to pet her and moves away from my hand. I will gently continue trying each week and wait for her to respond. The same goes for any timid animal. 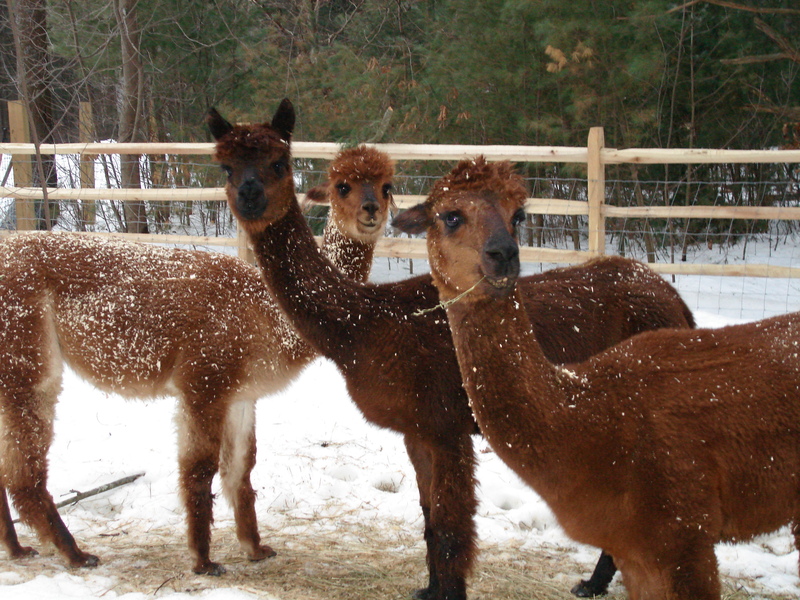 In their own time, perhaps the alpacas will come around like Delilah did. Or perhaps I will just love them from afar. Either way works for me. I hope you enjoy their precious faces as much as I do. Look at those eyes! And those EARS! Even the sawdust look is complementary. I absolutely think alpacas are one of the coolest breeds of anything I’ve ever seen, including all the amazing species found on nature shows and up close during my personal adventures. Group shot! Smiling for the camera! Hi Devon, I wondered and you answered by saying that they hadn’t had the easiest of lives. Is that true of all the animals? 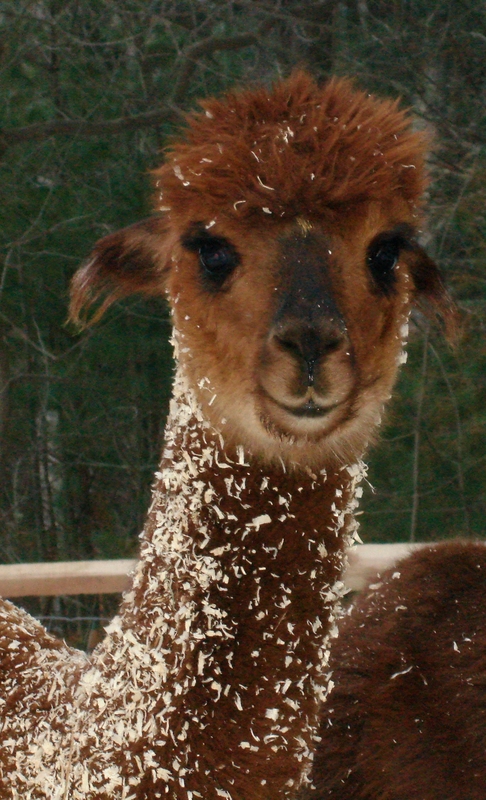 That first picture of the alpaca actually looks like a toy, what a wonderful, wonderful face. I love your postings and I can’t wait to meet all the animals. I think that alpaca is a girl and I also think that she is fictional. Something cannot possibly look like that. And they’re short, too. They’re only about five feet tall which adds to their surreal nature. 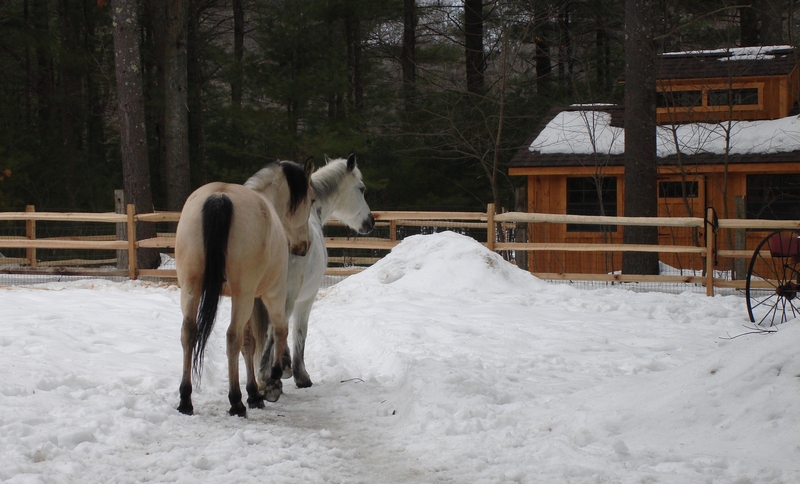 Whenever they walk by the barn, I have to pause and watch them. I can’t wait for you to meet them all, too! Little Levi is so so precious.Thank you all for evhniteyrg you do for all the animals at the farm.Animals are wonderful. They all need love, warmth, and security, which they receive everyday from you. The farm is a true home for them all. I’ve tried answering this in a blog post but it’s become more of a “shelter” animals vs. the animals here specifically so I’m giving up on it. Since I do not know all of their back stories (something I am working on), I can’t answer this definitively. 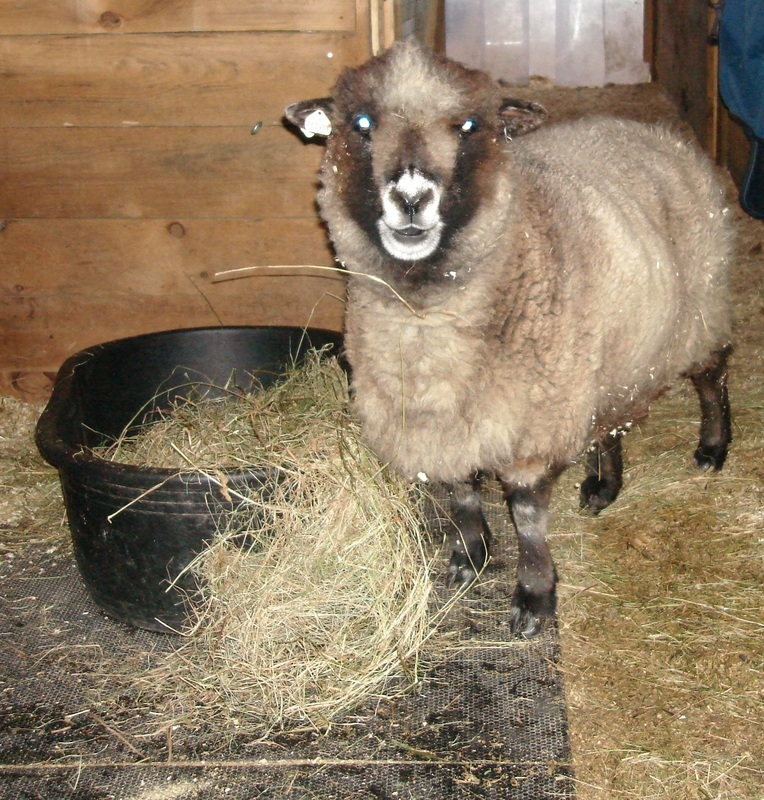 The short answer is no, not all of them have had traumatic lives before they came to the sanctuary. But almost all of the animals with whom I have made a personal connection have a sad story that accompanies them. Unfortunately, I know that number will grow when I know more of them. When I get caught up thinking about their pasts, I remind myself that they’re safe and happy now and they’re incredibly lucky that Deb crossed their path. Thanks Devon. I find it amazing that there are so many different species yet they seem to get along. Yes they are all safe now which should make Deb feel wonderful, and you too. I really want to visit the farm and meet all of these amazing animals.